LA PAZ, Mexico May 6, 2015 – After capturing the inaugural Pro Unlimited Class of the NORRA Mexican 1000 on Thursday, Robby Gordon and his HST Gordini race car, specifically built for the Dakar Rally, stayed in the La Paz, Mexico area for the weekend and entered the Dos Mares 500 off-road race, where the Gordini captured another overall title. After blowing down the Baja California peninsula from Ensenada to La Paz over four days in the Mexican 1000, Gordon and his team’s biggest task in preparing the Gordini was sending it to a local car wash in the capital city of the State of Baja California Sur for a bath before sending it through another rugged off-road race. Gordon drove the shorter-wheel-base and lower-horsepower Gordini in both the Mexican 1000 and Dos Mares 500 rather than his standard larger and higher-powered trophy truck in order to give the Dakar Rally vehicle additional miles under extreme conditions. Although he started at the rear of a small field of trophy trucks in the Dos Mares 500, Gordon passed all but Gary Magness on course and won the event on overall time by more than six minutes. Gordon’s running time was 4 hours, 48 minutes and 28 seconds, and Magnes’ time was 4:54:37. The course started in La Paz and turned east toward San Evaristo and then north along the Sea of Cortez before turning inland for Ciudad Constitucion. From there the course turned south back toward La Paz and made a long run along the Pacific Ocean. The HST Gordini that Gordon raced in the Mexican 1000 and the Dos Mares 500 is an exact replica and was raced as a test for the 2016 Dakar. The original Gordini won the final stage of the 2015 Dakar Rally and the second Gordini has won all five stages it has competed in. Gordon has competed in the Dakar Rally since 2005 and became the first American driver to win a stage in the famed race in his first attempt. Since then he has won more than 10 stages with his own team and a top overall finish of third in 2009. No American has ever won the overall Dakar Rally, something Gordon is desperate to change. He plans to enter a minimum of two HST Gordini’s in 2016 and could enter as many as four. 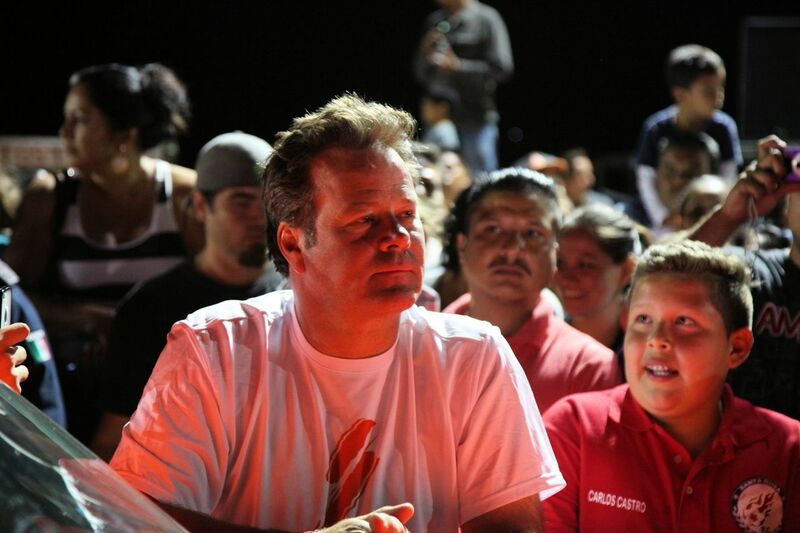 Keep up with everything Robby Gordon and the 2016 Dakar Rally by connecting on http://www.planetrobby.com and follow along with the team on Facebook and Twitter at: www.facebook.com/thespeedenergydrink, and http://twitter.com/SPEED_ENERGY. The HST Gordini is supported by SPEED Energy, Toyo Tires, Traxxas, 4 Wheel Parts, Grand Design Recreational Vehicles, Momentum by Grand Design, Magnaflow Exhaust, Eibach Springs, King Shocks, Mastercraft Safety, Embee Performance, MAC Tools, DeWALT, Freightliner Trucks, Replay XD, Impact by Mastercraft Safety, Lincoln Electric, Torchmate by Lincoln Electric, Ron Davis Racing Products, Techni Waterjet, Hella, Mechanix Wear, Saftey-Kleen, Weddle Industries, Kartek Off-Road, Team Gordon Race Wheels, Pro Am Racing Products, Anaheim Hills Auto Body. About Toyo Tire U.S.A. Corp. Toyo Tires manufactures and distributes a complete line of premium replacement tires for nearly every make and model including high performance cars, luxury vehicles, light trucks and SUVs as well as tires for commercial trucks.